Neglecting to use Facebook as part of your awareness and direct response marketing would be a travesty of epic proportions. After all, we’re talking about the world’s #1 social network. Most social networks and communities online don’t make it easy to create mass marketing schemes. They do this to protect the integrity of their own business model and keep their users happy. However, that doesn’t mean that you cannot create a buzz on Facebook; it simply means you will have to work within the company’s constraints. That means interacting politely and no spamming. Facebook certainly encourages companies, organizations, brands, products, artists, bands, fields of entertainment, communities, and causes to have a presence on the site. You can make your own page at www.facebook.com/pages/create.php. Choose the respective category and get started. Make sure to upload a picture and fill out the page with company details. Include a short bio and a link to your site in the “About” section. Your longer business description can be placed in the “Edit Info” section. Include an email address and other contact information. The process is painless and straightforward, and these two sections can be updated at any time. Note that once you choose a category and name for your Facebook page, however, these details cannot be changed in the future. You could create an entirely new page if you change your mind, but that also means you would have to start rebuilding your Facebook customer base from scratch. Choose carefully! Put a link or Facebook icon everywhere you exist online: on your website, your other social networks, and even if you advertisements. Send out emails to all of your personal and professional contacts and ask them to connect to your business Facebook. 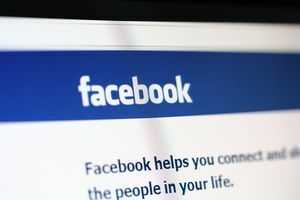 If you use Facebook email on your personal profile to do so, make sure to do so gradually, as the company has placed limits on the amount of outgoing mail that can be sent daily. Certainly do not automate the process with software, though a copy/paste method isn’t a bad idea. Use the name of each person at the opening of your messages to make it personal. You can even send emails one at a time to each contact you have and mention your Facebook profile “in passing” rather than appearing self-promotional. Activity on your page via status updates will show that your business is indeed active and gives the impression you are legitimate. Remember that that does not mean you need to self-promote constantly. If you do, your updates will get “hidden” in users’ news feeds. Try, instead, to post status updates that are interesting, genuine and useful – and remember they do not need to be all about your company. In fact, it’s best if they appear neutral and non-promotional the majority of the time. This way, when you do choose to send out a promotional link, you will have credibility and people will take it seriously. Otherwise, they’ll begin to tune you out. Naturally, at some point you will mention what you do and try to make a sale or two. But you can be subtle about this. Link people to another page that has an interesting story but also has links embedded that lead to your site. Mention the benefits of company and its products and services as part of a broader message. People are more likely to react in a community environment when they feel that they are not being marketed to directly. Too busy to keep it updated? Have a business partner take care of this task, or ask a staff member or your internet marketing company to maintain your Facebook page. It may cost you a little, but the returns will be there. A Facebook buzz presents great value in both branding and direct response. Facebook as a company wants businesses to entertain their users. It is understood that if your content is useful to Facebook users, they will keep coming back to use the social network. They will also reward you with business either immediately or in the future. To make it possible to please your audience, Facebook provides “Insights” which allows you to see the amount of feedback and impressions your posts are generating. Pay attention to these statistics as they will better allow you to gauge what kind of content is desired within your niche and gradually evolve your posts accordingly.